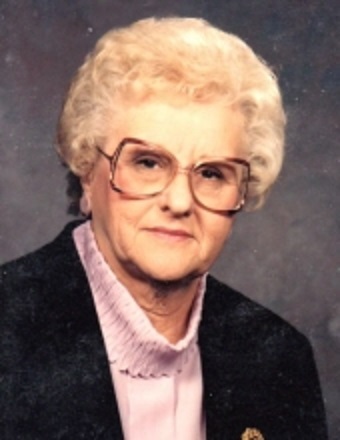 Betty J. Burris 88 of Clinton, Illinois passed away 6:40 AM July 22, 2018 at Manor Court, Clinton, IL. Graveside services will be 2:15 PM, Tuesday, July 24, 2018 at Mausoleum Park Cemetery, Clinton, IL with J. Kent Hickerson officiating. Visitation will be 1 – 2 PM Tuesday at Calvert Funeral Home, Clinton, IL. Betty was born March 25, 1930 in Clinton, IL the daughter of Lloyd H. and Edna F. (Pugh) Willis. She married William R. “Bob” Burris April 25, 1947 in Clinton, Il. He passed away March 16, 2007. Survivors include her children, Linda Haugh, Taylorville, IL and Robert J. Burris, LeRoy, IL; 4 grandchildren and 7 great-grandchildren; siblings: Shirley N. Evans and Donna L. Stone both of Clinton, IL; half-sister, Ludene Black, Taylorville, IL; half-brother, Michael Willis, Taylorville, IL; several nieces and nephews. She was preceded in death by her parents; 1 infant daughter; and 1 sister, LaThorne Leach. Betty was a School Bus Driver for Wapella and Clinton schools for 40 years and was a hairdresser for many years. She enjoyed bowling and reading.